If there’s one thing to take away from this story it’s this: teenage boys and their dreams are both creepy and dangerous. It’s Kiki’s turn to tell a tale, but she arrives late with a typewriter in hand. She tells the rest of the Midnight Society that she has laryngitis and asks Gary for help. He agrees to read her story for her, a story that begins with the warning that once a writer has their story read, it no longer belongs to the author, but the story takes a life of its own. Student Sean is a writer and a dreamer. And his favourite thing to write and dream about is his classmate Jennifer, who mostly thinks of Sean as a just a friend. His best friend Billy loves reminding Sean of his failures to capture Jennifer’s heart. One day after school, Billy goes to Sean’s house, which is parents recently bought. The house is a bit of a disaster zone as Sean’s parents fix it up. The boys ignore a Danger sign, and Billy’s foot goes through one of the steps. The boys then discover a small room under the stairs filled with old newspaper clippings about a mystery author who disappeared and was found murdered a year later. The boys also find an old type writer. Sean brings it up to his room. After Billy leaves, Sean begins writing a short story titled “The Halloween Dance” on the typewriter. In his story, he appears as a Dracula-style character who dances all night with the Princess Jennifer. And right before the night ends, Vampire Sean pulls Jennifer into a corner where he bites her neck. Sean ends his story and heads to sleep, completely unaware that Jennifer has awoken from a nightmare where she’s been bitten by a vampire at a Halloween dance. The next day at school, Jennifer tells Sean about her dream. Sean later tells Billy that Jennifer’s dream was just like his short story. Unsurprisingly, Billy doesn’t believe him. At Sean’s house, Billy gets bored and takes a nap while Billy decides to work on his short story for a homework assignment. This one is entitled “Trapped,” which stars Billy as a boy who falls into an empty grave while looking for the tombstone of the ghost Blind Paul. Billy eventually gets buried alive and can’t escape. As Sean finished typing his story, Billy wakes up afraid. Billy begins to tell Sean about his dream when Sean shows him what he’s just finished writing. The boys come to the conclusion that the typewriter is actually a dream machine: a machine that can create someone’s dreams. That night, Sean starts another short story in which he tells Jennifer about the dream machine and then kisses her (which is mega creepy, if you ask me). And the following day, Jennifer is invited over to Sean’s house. She, Sean and Billy discuss the dream machine and what it could mean. Billy grabs Sean’s “Halloween Party” story and begins to read it aloud. As he reads, the typewriter begins to glow green and Sean and Jennifer suddenly find themselves in the dream, only they’re aware this time. They try to change what they’re doing, but they keep following the pattern of the story. Sean and Jennifer only escape the story when Billy stops reading, right before he gets to the ending where Vampire Sean bites Jennifer. They realise that they were transported into the dreams. It all seems fine, until Sean remembers that he turned in “Trapped” for his homework. The three children run to the school to shop their teacher from reading the short story. But when they arrive, she’s nowhere to be found (she’s on an exercise bike while reading pastries – girl is living the dream). Billy suddenly disappears back into the dream graveyard. The teacher continues writing the story, and she still can’t be found. In a panic, Sean sits own at the typewriter and begins to type. He pulls the paper from the machine and has Jennifer read it aloud, making it come true. Sean’s paper says that none of the dreams in his stories came true, which pulls Sean out of the coffin and back into the real world. They’re caught by their teacher, and they play it off. But Sean has defeated the machine, for now. The Midnight Society enjoy Kiki’s story, but when Gary finishes, they notice that she’s gone, with the typewriter in her place. They read the short story and see that it’s about each of them getting chased be a headless warrior. Creeped out, they end the meeting and leave in silence. 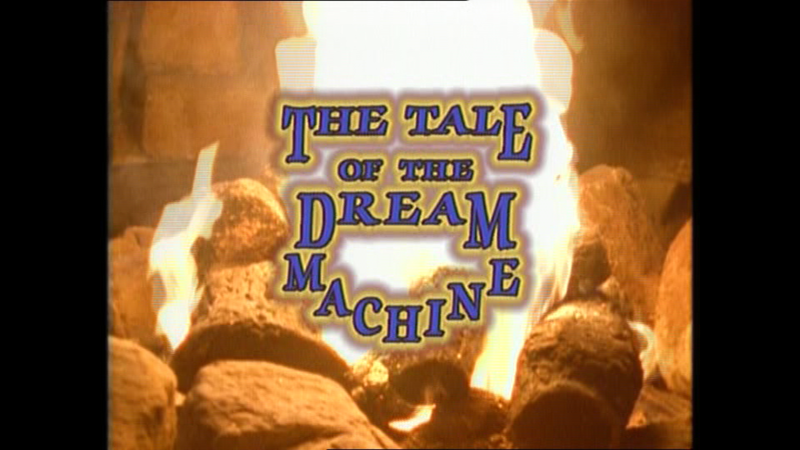 The best part of “The Tale of the Dream Machine” is that it’s something you almost wish could happen. Granted, having grizzly ends for every short story wouldn’t be ideal, but who hasn’t wanted to live one of their dreams? As long as there is dream police, it could work out, right? Har har har.